Apple stopped releasing first weekend iPhone sales figures with the iPhone 7, making it hard to tell how the iPhone X, iPhone 8, and iPhone 8 Plus are selling. 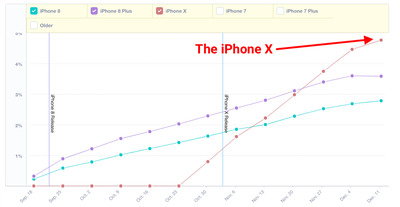 New analytics data suggests the iPhone X is outpacing the iPhone 8 and iPhone 8 Plus in adoption. The iPhone X costs $US999/£999, while the iPhone 8 starts at $US699/£699, and the iPhone 8 Plus starts at $US799/799. Apple hasn’t released sales figures for the iPhone X, iPhone 8, or the iPhone 8 Plus, but a new chart shows the most expensive of the three is also the most popular. 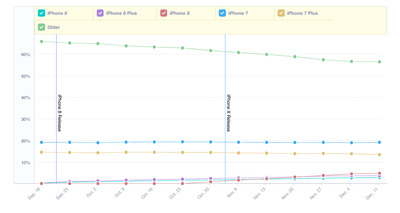 Data from analytics firm Mixpanel shows that iPhone X adoption outpaced that of its cheaper cousins in late November. 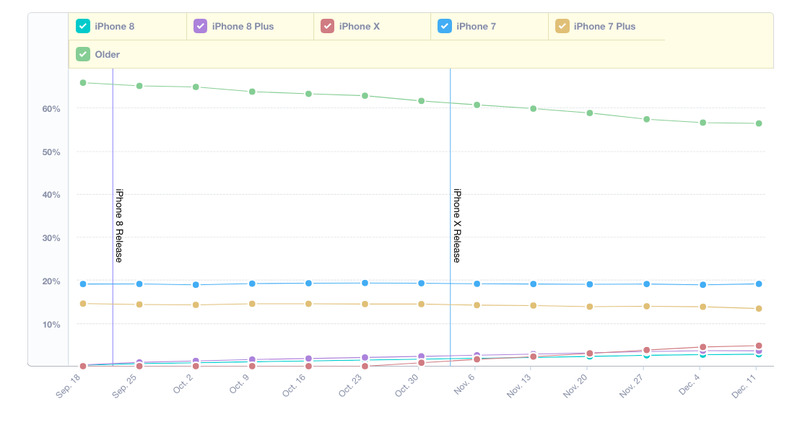 iPhone X adoption currently stands at 4.76%, ahead of the iPhone 8 Plus at 3.59% and the iPhone 8 at 2.78%. 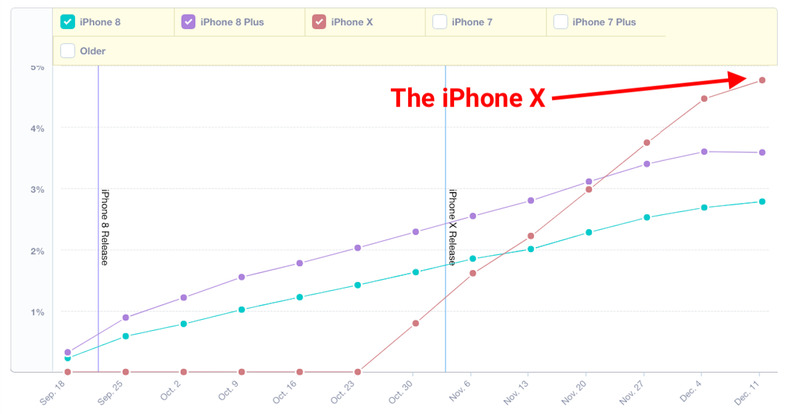 Mixpanel/Business InsiderThis chart shows iPhone X adoption outpacing the iPhone 8 and the iPhone 8 Plus. Mixpanel’s data doesn’t show sales figures, but measures people picking up the new iPhones and using apps that are integrated with Mixpanel’s software development kit. Collectively, it looks like the three devices are selling well and on track to overtake iPhone 7 Plus adoption over the next few months. 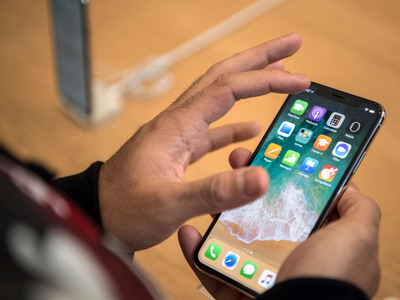 But early rumours of iPhone X supply constraints may be putting people off buying in these early months, even if Apple is reportedly ramping up production in time for Christmas.